In 2011 at SxSW in Austin, TX we realised we were sitting next to our big hero at the time, Eric Ries — author of The Lean Start-up. It was early evening and we were sitting outside drinking Margaritas at the Lustre Pearl. Eric had not yet published The Lean Start-up: it was due to come out that summer. But we were already fully signed-up fan-boys, having already read his blog for some time. It was one of those amazing meetings that SxSW was (is?) so brilliant for. By May 2013, Lean Start-up ‘thinking’ had become a ‘movement’ significant enough to become the hero theme of that month’s issue of Harvard Business Review, and to be featured on the cover and throughout. In 2013, the approach had not yet gone mainstream, as entrepreneur and academic Steve Blank pointed out in a piece about lean that he wrote in that issue. 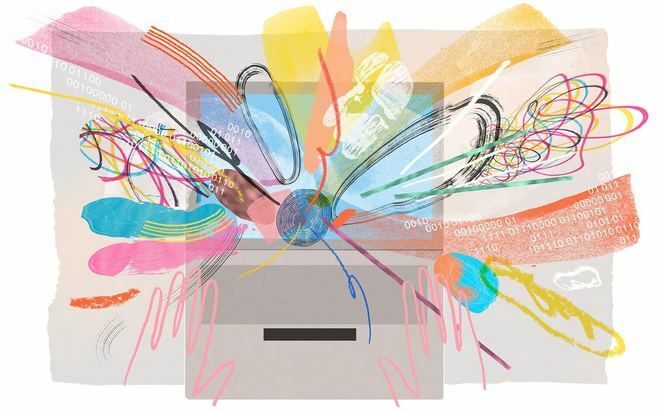 Steve Blank noted that whilst tech start-ups were adopting lean practices they could and should also be used by established legacy businesses seeking to reinvent themselves and embed new innovation muscles. It’s already becoming clear that lean start-up practices are not just for young tech ventures. ‘The Lean Start-up’ became a global best-selling book and a go-to resource for many leaders of scale, legacy businesses. Former GE CEO Jeff Immelt said recently (again in HBR) that the book inspired him to use lean practices to drive transformation efforts at GE. The two things that influenced me the most were Marc Andreessen’s 2011 Wall Street Journal article, ‘Why Software Is Eating the World,’ and ‘The Lean Startup’ — Eric Ries’s book, which I literally read in a day, he wrote. Now, Ries has a new book: The Start-up Way. The book comes out tomorrow. It’s clear from the videos at his website (not to mention the title!) that it’s about the application of lean start-up principles to helping big, established companies achieve a state of ‘continuous transformation’. One of things I find fascinating and exciting is the extent to which Ries is further defining a viable alternative to the traditional, top-down approaches that many established legacy business and management consulting firms advise their clients to adopt in the service of digital transformation. That this thinking comes from a practitioner is hugely significant: unlike most of those working in big consulting companies, Ries actually has first-hand experience of creating and running digital products and services, and of building the teams and trust within those teams to make it work. Ries’ version of the future is much closer to our own practice here at Made by Many. At its heart it’s about small, empowered, cross-functional teams exploiting economies of speed rather than scale. In other words — it’s explicitly NOT about leading from on-high with swarms of expensive “experts, specialists and managers”, and parachuting in an Ivy League SWAT team of MBA cut-outs. It’s also NOT about privileging ‘big predictive strategy’ above other ways of thinking. It’s about bringing really diverse teams (i.e. not sad monocultures) together to solve new types of problems in new ways. This is a very exciting time to be redesigning the way business works. Transformation isn’t just a rush to catch up, it’s an opportunity to liberate people to fulfil their creative potential, to work more collaboratively and to enjoy more meaningful relationships with each other and with work. 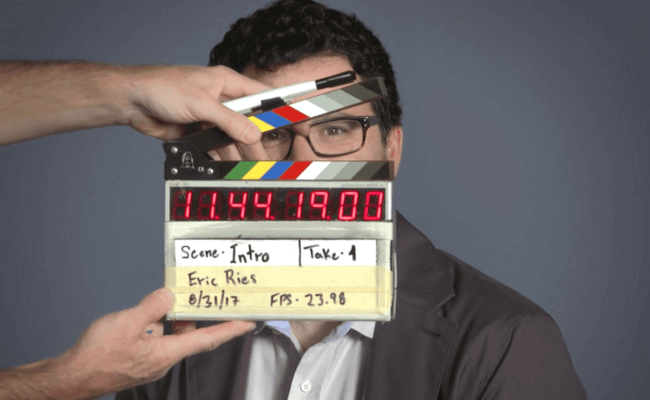 In his new book, Eric Ries calls the opportunity “a Second Founding” –the implication being that this time around it kind of belongs to everyone. Digital transformation — as has often been noted — is very little about digital technology and a lot about people. In fact, (and I can’t remember where I read this phrase but it’s stuck in my head) “most transformations fail not because of technology or because the strategy was wrong, but because of wicked human-centred problems”. 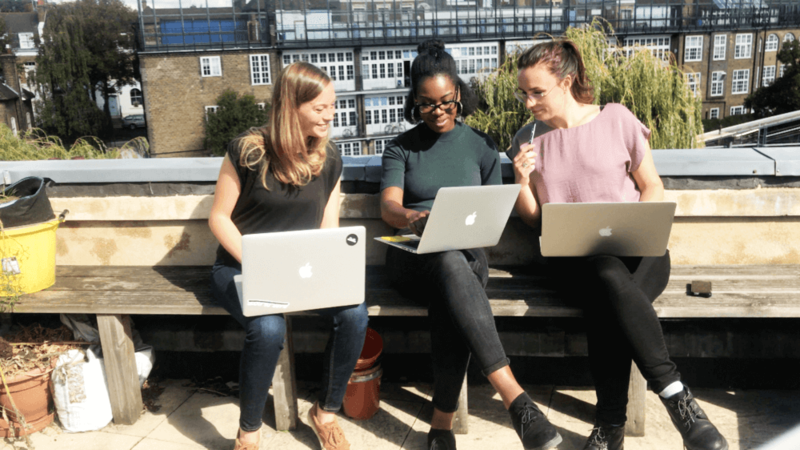 We believe that small, lean and agile, highly empowered, cross-functional teams are the engine of human centred transformation, and that this is the logical extension of human centred design. This type of team represents the most desirable ‘end-state’ of any digital transformation: humans enabled to work brilliantly together, teams that become greater than the sum of their parts, and businesses that continually create new cycles of innovation that unlock new sources of growth. At a human level, the right kind of team allows people to trust each other more — and feel confident about taking the kind of risks that continuous innovation demands. It reduces anxiety. It recognises and respects diversity. It embraces productive failure. It fosters learning. It promotes collective excellence and protects individuals from blame. Teams structured like this have the potential to fix work, to create better futures for people and business, and to make life less sh*t.
Which is good, because that’s basically the job in hand!